The Conservative Party’s election manifesto was officially published on Thursday, packed with social measures so harsh that tens of thousands of Brits could be forced to pay for their own home care in old age. The move, branded a ‘dementia tax’, will see people with assets of £100,000 (US$130,000) or more having to pay for their own social care. The benchmark currently stands at £23,250, but, as the Tories plan to add people’s homes to the equation, many more are expected to be liable to pay. In return, Prime Minister Theresa May promised no one will have to sell their home to cover care costs during their lifetime. “This manifesto sets out a vision for Britain’s future not just for the next five years, but beyond,” May says in the manifesto’s foreword. However, former director of the Institute for Fiscal Studies and government adviser Sir Andrew Dilnot warned the plans don’t address what he views as the major issue. People will be exposed to rising care costs and there will be “nothing you can do to protect yourself,” including insurance cover. “They’re tackling completely different questions and the disappointment about these proposals that we’re expecting to hear in the Conservative manifesto later is that they fail to tackle what I’d argue is probably the biggest problem of all in social care, which is that at the moment people are faced with a position of no control,” Dilnot told the Guardian. “People are rightly sceptical of politicians who claim to have easy answers to deeply complex problems. It is the responsibility of leaders to be straight with people about the challenges ahead and the hard work required to overcome them,” May added in the manifesto document. 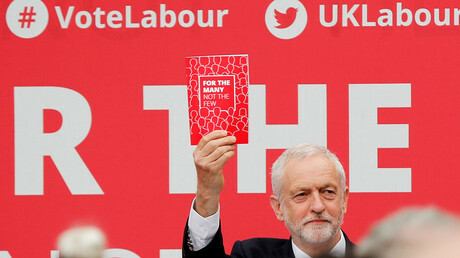 Labour preceded the Conservative manifesto launch with their own ‘One Tory Manifesto. Two years of Failure. 50 Broken Promises’ dossier on Thursday morning. “Theresa May pretends otherwise, but she is a politician with a track record of failure and broken promises. 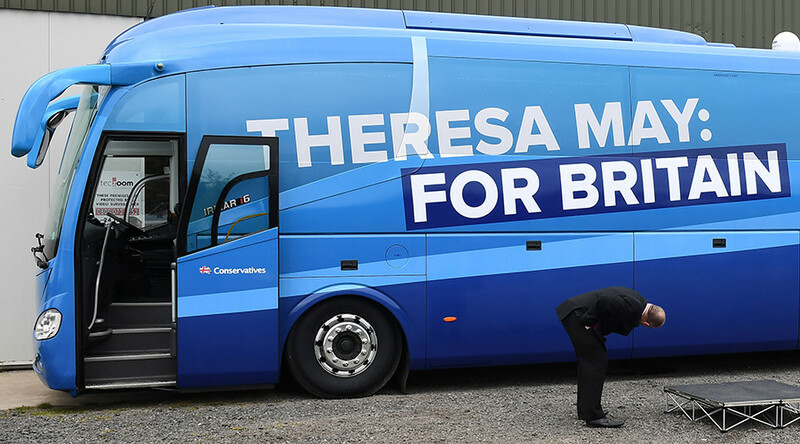 From the economy to the NHS, and policing to schools, Theresa May’s Tories have failed again and again to deliver on the pledges they made,” said Labour’s national election coordinator Andrew Gwynne. “Nothing strong & stable about removing free school meals, a death tax for social care, pensions triple lock removal or return of fox hunting,” tweeted his colleague, Shadow Education Secretary Angela Rayner.